I have to confess, I love taking what I already have on hand and making it better. So, I was really excited when Amy from Mod Podge Rocks sent me some of her new adhesive stencils to try. I immediately started thinking of things that I could transform. I finally decided on my plain ol' tapered candles. Since the stencils are made for mod podging things like glitter, I decided to use some chocolate-colored sand that I had left over from my wedding...I knew it would come in handy!! 1. 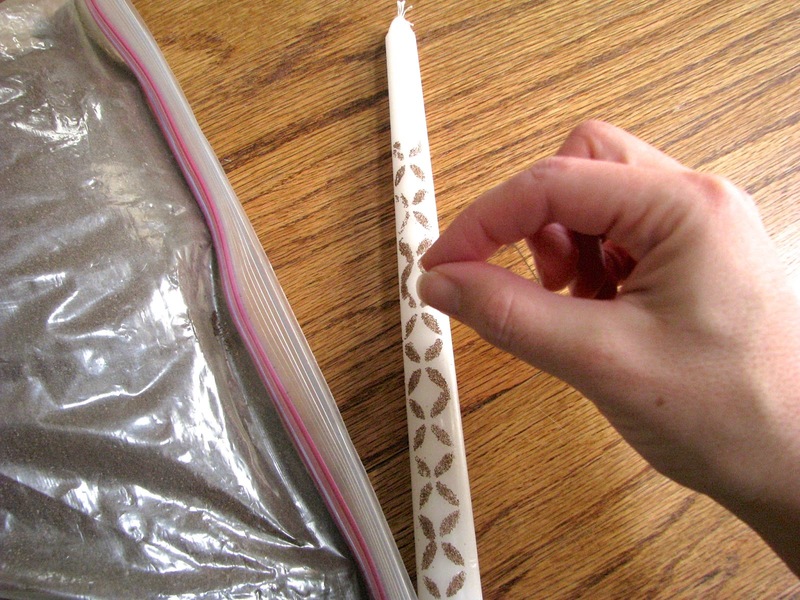 Adhere the stencil to the candle. 2. Sponge the Mod Podge into the holes on the stencil. 3. Remove stencil. This part is important. On another project I forgot to remove the stencil, and it didn't work quite as well. 4. Put the sand (or glitter) on the Mod Podge. It is recommended to use a puffer to shoot the sand onto the Mod Podge, but since I didn't have one, I went old school and pinched and sprinkled. 6. Brush away the excess sand. 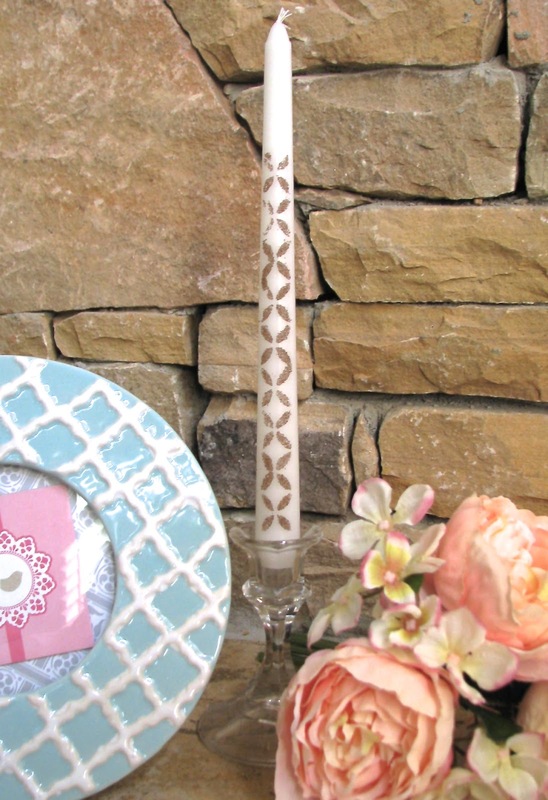 Just like that, you're candle is transformed from plain to pretty! Such an easy, quick craft. I have a feeling kids would love doing this too, so pick something to stencil and have FUN!! I love this! Would have never thought to use sand! Love this idea - thank you so much - it's so pretty!